On 21-22 April, CEEDS’15 got together in Sofia more than 3,300 top executives from Central and Eastern Europe. 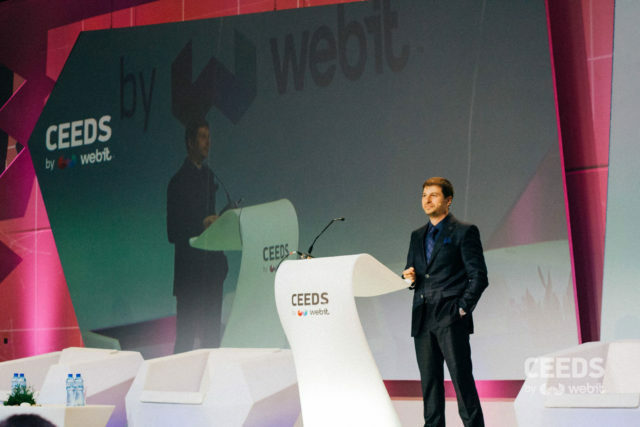 CEOs, founders, CTOs, CIOs and top managers shared their experiences during the ‪CEEDS by ‪‎Webit lecture stream and shared part of the marketing trends that will influence the market in the next few years. “Global Webit Series became a gateway between the corporate and startup worlds helping them innovate through collaboration,” said Plamen Rusev – serial entrepreneur and investor in technology companies, founder of the largest technology forum CEEDS’15 by Webit. He opened the conference with an inspiring speech, highlighting the speed of the technology advancement and the importance of being aware of the opportunities that this digital tools offer us in order to achieve a better future. “We are living in a very unique in economic history time when the very potent cocktail of globalisation combined with digitalisation is giving wings to amazing companies and endeavours. The companies who arised on the waves of it are all part of our everyday living now – Google, Apple, Facebook, Uber, AirBnB to name some of them. None of these are targeting niche markets – all of them are on a quest of taking over the world. Now we are going through a global digital transformation – it is changing our lives, societies, long lasting industries, lifestyles… in other words we are now facing a social transformation that ultimately will affect each and every person in this room, in this region and around the world. 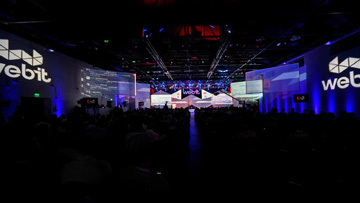 The phenomenon of this digital a.k.a social transformation is that it is taking place globally, at the same time and almost the same speed and impact and that it is driven by a quantified number of people (mostly located in the Silicon valley) with armies of developers chasing artificial intelligence and creating real life solutions which few years ago were considered science fiction and impossible. Do you remember when you first read about self driving or driverless cars a few years ago? A pure example of innovation thinking – you take the most important things in a product which you know and start removing the most important component of it. This is the way many new products are born, but in the driverless cars case you not only remove the wheel, the pedals and all connected to them controls, but the driver! So a few years ago when this hit the news – we all thought it might take decades to see it on the street – if we see it at all. Now all states in America already voted acts allowing such cars on the streets, UK is planing to become the largest adopter of the technology by 2017-2018. Something which was considered crazy a few years ago is adopted as normal today and the technology development is not linear but rather exponential and it is a fact that it started to advance faster that science fiction itself. What I believe we shall see next is the digital transformation being led by a few hundred tech illuminates and investors leading to a global revolution. Imagine what will happen to the thousands of taxi drivers in just few years when driverless cars become common on our streets. What about the artificial intelligence – it might not be news for you but the fact is that algorithms in the US control some 70 percent of all trading on the stock market these days. And it is not even close to artificial intelligence – imagine the impact over the human kind once it is achieved in the way some people think of it! Today you may sequence the human genome for a few hours and for some 1000 USD. Imagine how this can influence medicine tomorrow? Imagine how all the above is changing the world we live in. These technologies are all impacting one another but still each going its way. Imagine what will happen if a common platform may leverage on all of them and use them in synergy and simultaneously – and this platform is the AI. Imagine the speed of innovation and the horizons of it. Imagine how it will look compared to today. Now stop imagining. It is today! “The singularity is already here,” says the person bearing the personal responsibility for technology taking over the science fiction. “It’s not something that just happens next Tuesday at 9:40 in the morning. It’s a process and it is taking place right now.” says Sebastian Thrun, founder of Google X laboratory which for the past years created more new symbolic products and innovations such as driverless cars, Google glass, contact lenses that measure blood-sugar levels and many more. The Global Webit Series because the largest EMEA digital economy forum to help boost the knowledge transfer, business networking and opportunities and innovation. More that this we are the most startup friendly enterprise events welcoming hundreds of selected innovative startups in technology, science, energy, commerce, fin-tech, health, edtech, digital entertainment, infrastructure, Big Data, cloud, etc. More than this – every year we are supporting them with a grant of a Millon Euros in marketing, PR, media and investors relations and investments. The Global Webit Series became a gateway between the corporate and startup worlds bringing synergy and helping them innovate through collaboration. But the humble beginning of Webit events was to change and improve the lives and chances of the people in Europe and more precisely for Central and Eastern Europe. Our team is not just making events and creating communities, we believe we bring happiness – we believe and know it by personal experience that people are happy being along with their families and friends and at the same time having opportunities for career and business development. This was the initial idea of Webit to help people from CEE embrace opportunities through the network which Webit brings, through the knowledge and knowhow transfer we empower and the business opportunities that arise from that. Recently I have heard through friends of mine about 3 young Bulgarians who proved the fact that the right time is now – not the future. 2 boy and a girl at their 17-teens won award for a robot they have build from various sources and using their pocket money and were selected among over 100 candidates at their age from all around Europe at the an international event in Vienna, Austria. Such young people are the proof that talent is equally distributed around the world – it is not only in America or Germany – it is everywhere – but we as society and individuals are responsible to invest in their education and opportunities if we want CEE and Europe to be part of the future I have shared with you in the beginning – and not only being spectators, but leaders and master minds. You can see the opening keynote of Mr Plamen Russev at CEEDS’15 by Webit in the YouTube Channel of Webit HERE.